It’s useful for students to have good examples of naff research, to show them the meaning of ‘invalid data’ or ‘unrepresentative samples’, or in this case, just plain unreferenced material which may as well be ‘Fake News’. At least I get some kind of pay back (in the form of the odd daily post) for having wasted my time wading through this drivel. My first example is from The Independent, the ex-newspaper turned click-bait website. I’ve been doing a bit of research on smart phone usage statistics this week and I came across this 2018 article in the Independent: Quarter of Children under 6 have a smartphone, study finds. Eventually it references a company called MusicMagpie (which is an online store) but fails to provide a link to the research, and provides no information at all about the sampling methods used or other details of the survey (i.e. the actual questions, or how it’s administered.). I dug around for a few minutes, but couldn’t find the original survey either. 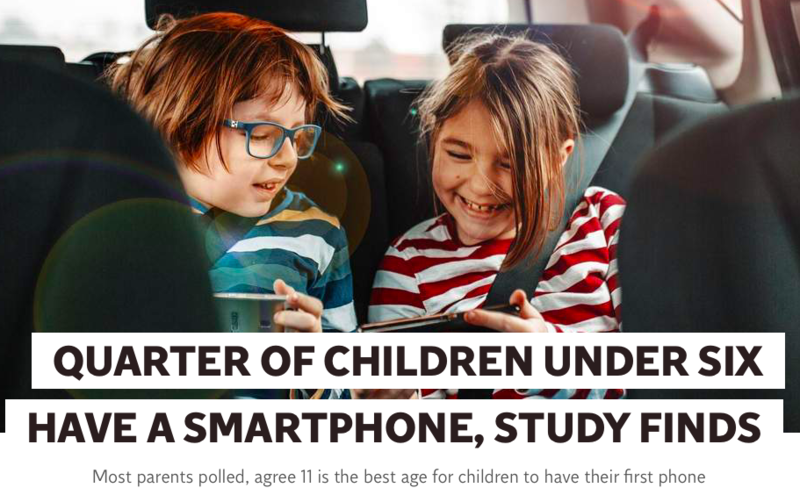 The above figures just didn’t sound believable to me, and they don’t tie in with OFCOM’s 2017 findings which say that only 5% of 5-7 year olds and 1% of 3-4 year olds have their own mobiles. As it stands, because of the simple fact that I can’t find details of the survey, these research findings from musicMagpie are totally invalid. I’m actually quite suspicious that the two companies have colluded to generate some misleading click-bait statistics to drive people to their websites to increase advertising and sales revenue. If you cannot validate your sources, then do not use the data! Why Do Voting Opinion Polls Get it Wrong So Often? Surveys which ask how people intend to vote in major elections seem to get it wrong more often than not, but why is this? Taking the averages of all nine first and then final polls for the UK general election 2017, the predictions for the Conservatives show them down from 46% to 44%; and Labour up from 26% to 36%. The actual vote share following the result of the general election shows the Conservatives at 42% and Labour at 40% share of the vote. So why do the pollsters get it wrong so often? Firstly, there is a plus or minus 2 or 3% statistical margin of error in a poll – so if a poll shows the Tories on 40% and Labour on 34%, this could mean that the real situation is Tory 43%, Labour 31% – a 12 point lead. Or it could mean both Tory and Labour are on 37%, neck and neck. Based on the above, taking into account margin for error, it is impossible to predict who would have won a higher proportion of the votes and more seats out of Labour and the Tories. Secondly, the pollsters have no way of knowing whether they are interviewing a representative sample. When approached by a pollster most voters refuse to answer and the pollster has very little idea whether these non-respondents are or are not differently inclined from those who do respond. In the trade, this is referred to as polling’s “dirty little secret”. Thirdly, the link between demographic data and voting patterns is less clear today – it used to be possible to triangulate polling data with demographic data from previous election results, but voter de-alignment now means that such data is now less reliable as a source of triangulating the opinion polls survey data, meaning pollsters are more in the dark than ever. Fourthly, a whole load of other factors affected people’s actual voting behaviour in this 2017 election and maybe the polls failed to capture this? So it would seem that voting-intention surveys have always had limited validity, and that, if anything, this validity problem is getting worse…. after years of over-estimating the number of Labour votes, they’ve now swung right back the other way to underestimating the popularity of Labour. Having said that these polls are not entirely useless, they did still manage to predict that the Tories would win more votes and seats than Labour, but they just got the difference between them oh so very wrong. According to The Week (July 2017) – the main problem with polling these days is that finding representative samples is getting harder… When Gallup was polling, the response rate was 90%, in 2015, ICM had to call up 30 000 numbers just to get 2000 responses. And those who do respond are often too politically engaged to be representative. Public and private documents such as newspapers and letters. More respondent-led, avoids the imposition problem. Good for exploring issues the researcher knows little about. No useful for finding trends, finding correlations. Low reliability as difficult to repeat the exact context of research. Informed consent can be an issue with PO. Nature of Topic – When would you use it, when would you avoid using it? Not necessary for simple topics. Crunch Paragraph/ Conclusion – Generally, how important is qualitative research to Sociology? More hassle practically, lacks objectivity, but good for validity which is probably the most important factor required when doing research. Just a few thoughts on how you might answer this in the exam. Introduction – A variety of factors influence a Sociologist’s decision as to what research method they use: the nature of topic, theoretical, practical and ethical factors. Theoretical factors – Positivism vs Interpretivism – Positivists are interested in uncovering the underlying general laws that lie behind human action. They thus prefer quantitative methods because these enable large samples to be drawn and allow for the possibility of findings being generalised to the wider population. They also prefer quantitative methods because the data can be put into graphs and charts, allowing for easy comparisons to be made at a glance. Interpretivists generally prefer qualitative methods which are regarded as having high validity. Validity is the extent to which research provides a true and accurate picture of the aspect of social life that is being studied. Most sociologists would agree that there is little point doing sociological research if it is invalid. 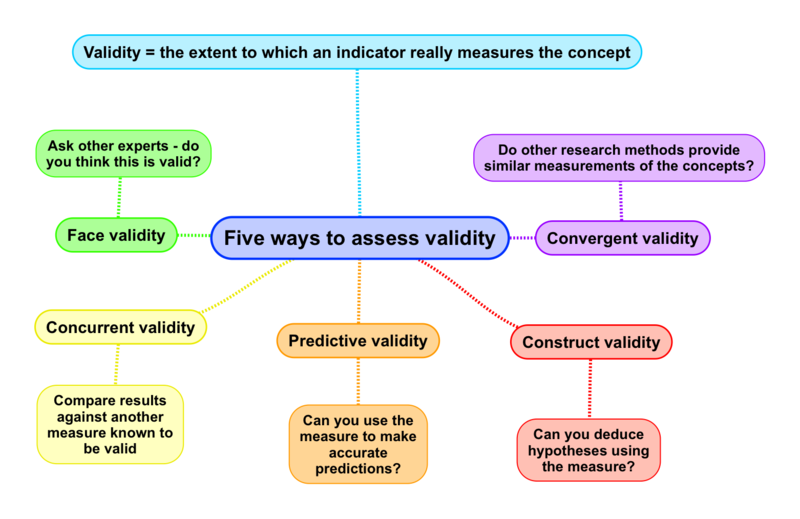 Theoretical factors – Validity – Qualitative methods should be more valid because they are suitable for gaining an in depth and empathetic understanding of the respondent’s views of life. Qualitative methods are flexible, and allow for the respondents to speak for themselves, which avoids the imposition problem as they set the research agenda. Qualitative methods also allow for rapport to be built up between the respondent and the researcher which should encourage more truthful and in depth information to flow from the respondents. The final reason why qualitative methods such as Participant Observation should yield valid data is that it allows for the researcher to see the respondents in their natural environment. Theoretical factors – Reliability – Is the extent to which research can be repeated and the same results achieved. Positivists point out that it is more difficult for someone else to replicate the exact same conditions of a qualitative research project because the researcher is involved in sustained, contact with the respondents and the characteristics and values of the researcher may influence the reactions of respondents. Moreover, because the researcher is not ‘detached’ from the respondents, this may detract from his or her objectivity. Participant Observers such as Willis and Venkatesh have, for example, been accused of going native – where they become overly sympathetic with the respondents. Interpretivists would react to this by pointing out that human beings are not machines and there are some topics that require close human contact to get to the truth – sensitive issues such as abuse and crime may well require sympathetic researchers that share characteristics in common with the respondents. Interpretivists are happy to forgo reliability if they gain in more valid and in depth data. Representativeness – Obviously if one wants large samples one should use quantitative methods – as with the UK National Census. However, one may not need a large sample depending on the research topic. Practical Factors – Practical issues also have an important influence on choices of research method. As a general rule quantitative methods cost less and are quicker to carry out compared to more qualitative methods, and the data is easier to analyse once collected, especially with pre-coded questionnaires which can simply be fed into a computer. It is also easier to get government funding for quantitative research because this is regarded as more scientific and objective and easier to generalise to the population as a whole. Finally, researchers might find respondents more willing to participate in the research if it is less invasive – questionnaires over PO. However, qualitative methods, although less practical, may be the only sensible way of gaining valid data, or any data at all for certain topics – as mentioned above UI are best for sensitive topics while participant observation may be the only way to gain access to deviant and criminal groups. Ethical Factors – Ethical factors also influence the choice of research methods. In order for research to gain funding it will need to meet the ethical guidelines of the British Sociological Association. How ethical a research method is depends on the researcher’s efforts to ensure that informed consent is achieved and that data is kept confidential and not used for purposes other than the research. Real ethical dilemmas can occur with covert participant observation. However, sometimes the ethical benefits gained from a study may outweigh the ethical problems. McIntyre, for example, may have deceived the hooligans he researched but at least he exposed their behaviour. Howard Becker also argued that there is an ethical imperative to doing qualitative research – these should be used to research the underdog, giving a voice to the marginalised whose opinions are often not heard in society. Nature of topic – There are certain topics which lend themselves naturally to certain modes of research. Measuring how people intend to vote naturally lends itself to phone surveys for example while researching sensitive and emotive topics would be better approached through UI. Conclusion – In conclusion there are a number of different factors that interrelate to determine a sociologist’s choice of research method – practical, ethical, theoretical and the nature of the topic under investigation. In addition, sociologists will evaluate these factors depending on their own individual values. Furthermore it is too simplistic to suggest that sociologists simply fall into two separate camps, Positivists or Interpretivists. Many researchers use triangulation, combining different types of method so that the advantages of one will compensate for the disadvantages of another. Participant Observation is where the researcher joins in with the group being studied and observes their behaviour. This post covers the theoretical, practical and ethical strengths and limitations of using overt and covert participant observation in social research. Participant observation is closely related to the ethnographic method (or ‘ethnography’), which consists of an in-depth study of the way of life of a group of people. Ethnography is traditionally associated with anthropology, wherein the anthropologist visits a (usually) foreign land, gains access to a group (for example a tribe or village), and spends several years living with them with the aim of uncovering their culture. The ethnographic method involves watching what participants do, listening to them, engaging in probing conversations, and joining them in day to day tasks as necessary; it also involves investigating any cultural artefacts such as art work and any written work if it exists, as well as analysing what religious rituals and popular stories can tell us about the culture. Ethnographic research has traditionally involved taking copious field notes, and the resulting ‘monographs’ which are produced can take several months, if not a year or more to write up. Ethnography = participant observation + a detailed written account of one’s findings. Most participant observers (or ‘ethnographers’) will combine their observations with other methods – most obviously unstructured interviews, and some will combine them with more formal questionnaire based research, normally towards the end of their study period, meaning many of these studies are actually mixed-methods studies. Nonetheless, Participant Observation is still technically classified, for the purposes of A-level sociology as a ‘qualitative’ method. An important distinction in Participation/ Ethnography is between covert and over observation. Overt Observation – this is where the group being studied know they are being observed. Covert Observation – this where the group being studied does not know they are being observed, or where the research goes ‘undercover’. These both have their strengths and limitations – overt research is obviously more ethical because of the lack of deception, and it allows the researcher to ask probing questions and use other research methods. Covert research may be the only way to gain access to deviant groups, it may enable you to gain fuller ‘immersion’ into the host culture and avoids the ‘Hawthorne Effect’. However, ethically it involves deception and can be very stressful for the researcher. You can observe what people do, not what they say they do – In contrast to most other methods, participant observation allows the researcher to see what people do rather than what people say they do. Participant Observation takes place in natural settings – this should mean respondents act more naturally than in a laboratory, or during a more formal interview. This should mean the Hawthorne effect will be less, especially with covert research. You also get more of a feel for respondents’ actions in context, which might otherwise seem out of place if in an artificial research environment. Digging deep and gaining insight – the length of time ethnographers spend with a community means that close bonds that can be established, thus enabling the researcher to dig deeper than with other methods and find out things which may be hidden to all other means of enquiry. Verstehen/empathetic understanding– participant observation allows the researcher to fully join the group and to see things through the eyes (and actions) of the people in group. Joining in allows the researcher to gain empathy through personal experiences. This closeness to people’s reality means that participant observation can give uniquely personal, authentic data. Flexibility and generating new ideas – when completing questionnaires researchers begin with pre-set questions. Even before starting to collect the data, therefore, the researchers have decided what’s important. The problem with this is what if the questions the researcher thinks are important are not the same as the ones the subject thinks are important. By contrast, participant observation is much more flexible. It allows the researcher to enter the situation with an open mind and as new situations are encountered they can be followed up. There are few practical advantages with this method, but participant observation might be the only methods for gaining access to certain groups. For example, a researcher using questionnaires to research street gangs is likely to be seen as an authority figure and unlikely to be accepted. Interpretivists prefer this method because it is respondent led – it allows respondents to speak for themselves and thus avoids a master-client relationship which you get with more quantitative methods. One theoretical disadvantage is the low degree of reliability. It would be almost impossible for another researcher to repeat given that a participant observation study relies on the personal skills and characteristics of the lone researcher. Another theoretical disadvantage is the low degree of representativeness. Sociologists who use quantitative research methods study large, carefully selected, representative samples that provide a sound basis for making generalisations, In contrast, the groups used in participant observation studies are usually unrepresentative, because they are accessed through snowball sampling and thus haphazardly selected. Critics also question how valid participant observation really is. They argue the method lacks objectivity. It can be very difficult for the researcher to avoid subjectivity and forming biased views of the group being studied. Also researchers decide what is significant and worth recording and what’s not, therefore, it depends on the values of the researcher. In extreme cases, researchers might ‘go native’, where they become sympathatic with the respondents and omit any negative analysis of their way of life. A further threat to validity is the Hawthorne Effect, where people act differently because they know they are being observed, although participant observers would counter this by saying that people can’t keep up an act over long time periods: they will eventually relax and be themselves. Also, the methods lack a concept of social structures such as class, gender or ethnicity. By focussing on the participants own interpretation of events, the researcher tends to ignore the wider social structures, which means giving only a partial explanation. Firstly, this method tends to be time consuming and expensive in relation to the relatively small amount of respondents. It can take time to gain trust and build rapport, and so for this reason, it may take several days, weeks or even months, before the respondents really start to relax in the presence of the researcher. Participant Observation also requires observational and interpersonal skills that not everyone possesses – you have to be able to get on with people and understand when to take a back seat and when to probe for information. Gaining access can also be a problem – many people will not want to be researched this way, and where covert research is concerned, researchers are limited by their own characteristics. Not everyone can pass as a Hells Angel if covert observation is being used! Ethical problems are mainly limited to Covert Participant Observation, in which respondents are deceived and thus cannot give informed consent to participate in the research. Legality can also be an issue in covert research where researchers working with deviant groups may have to do illegal acts to maintain their cover. 5. It is easier to do follow up studies.